Looking for something a little bit different and unusual to add to your home? 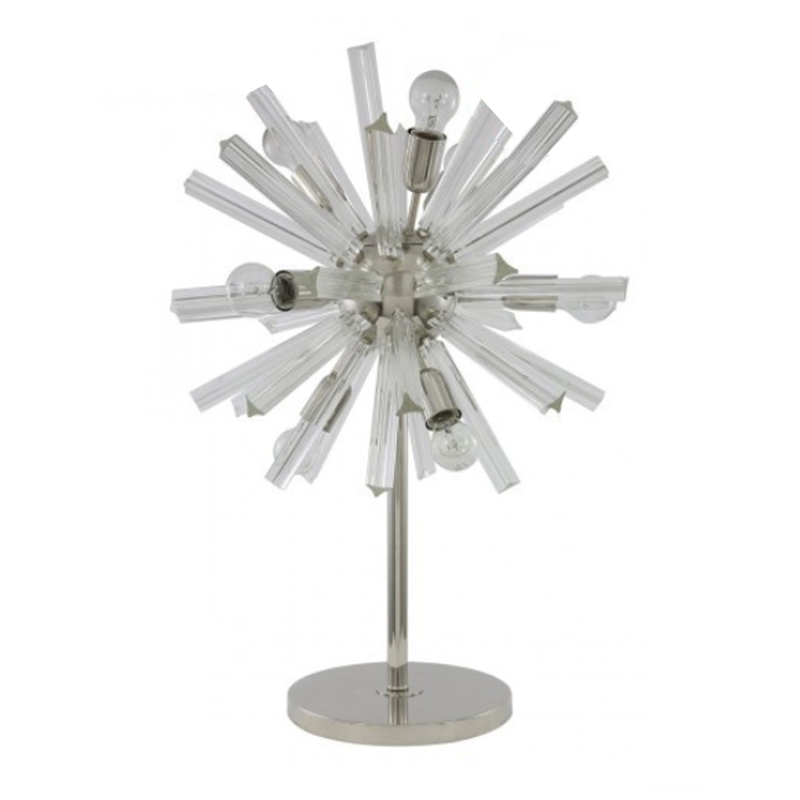 Introducing this beautiful Clear Glass Orbit Table Lamp. With a vast array of clear glass tubes it's surrounded with a lovely 9 lights which will illuminate your whole room. Sitting on a chrome base this beautiful table lamp will become a focal point of any room it's in.